Earn Your 2019 Guardian Seal! What Are You Waiting For? who weighs ten times more than you! The EQUUS Foundation is committed to putting an end to the abuse and neglect of America's horses by increasing opportunities for horses to flourish as athletes, companions, teachers and healers. 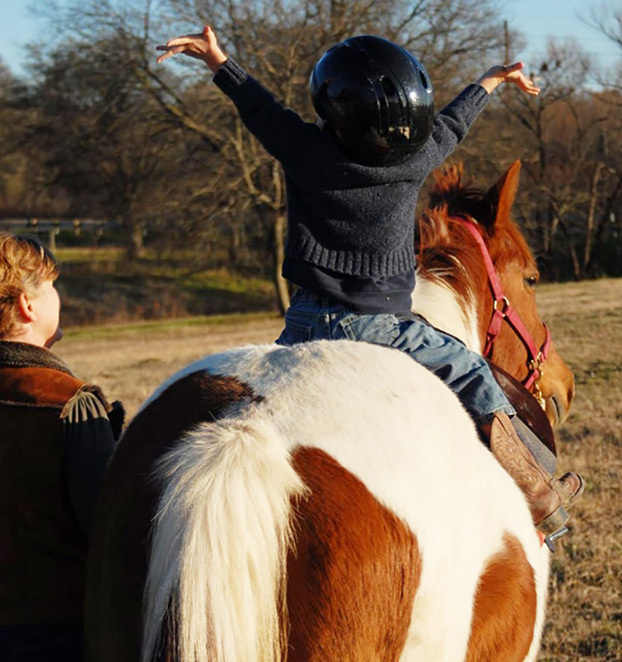 We focus our efforts on empowering equine charities nationwide that provide protection, rehabilitation, retraining and re-homing of America's at-risk and transitioning horses and opportunities for horses to elevate the lives of people. However, the need for transparency is more important now than ever before. With the advent of the internet and social media, it is easy for people to be misinformed and misled. To ensure a future for America's horses, it is critical to identify and invest in the most-effective equine charities in the US - those that operate at the highest standards for horse care. The EQUUS Foundation Guardian Seal of Transparency demonstrates an organization's commitment to transparency and its willingness to publish extensive information on the organization's horse care practices, policies and programs. While the Guardian Seal is not an endorsement, only those charities that undergo our unique, comprehensive verification process to receive our Guardian Seal receive Guardian benefits. Of the thousands of equine charities in the US, currently, only 15% have received the Guardian designation. We believe that there are many more worthy charities. How to Become a Guardian . . . In order to be designated as a Guardian, an organization must first join our Equine Welfare Network. Click here. If your organization is already participating on our Equine Welfare Network, click here to log into your network profile and follow the online instructions to update your Guardian information. • Only organizations designated as EQUUS Foundation Guardians are eligible to receive financial support from the EQUUS Foundation. Learn more about our Transparency Awards here. Learn more about our Platinum Performance Horse Welfare Awards here. • Only organizations designated as Guardians are eligible to participate in our Next Chapters program, including our Next Chapter events. Next Chapters is an online platform featuring listings of organizations that have horses that are ready for adoption and with organizations that are looking for program horses. Learn more here. • Only organizations designated as Guardians are promoted in our social media. • Only organizations designated as Guardians are eligible to post Wish List items and Volunteer Opportunities on their profile page. About EQUUS Foundation: The EQUUS Foundation, a 501(c)(3) public charity established in 2002, also known as Horse Charities of America, the only national animal welfare charity in the United States 100% dedicated to protecting America's horses and strengthening the bond between people and horses. Donations are tax-deductible to the full extent of the law. Contact the EQUUS Foundation, Inc., at 168 Long Lots Road, Westport, CT 06880, Tele: (203) 259-1550, E-Mail: mail@equusfoundation.org, Website: www.equusfoundation.org.